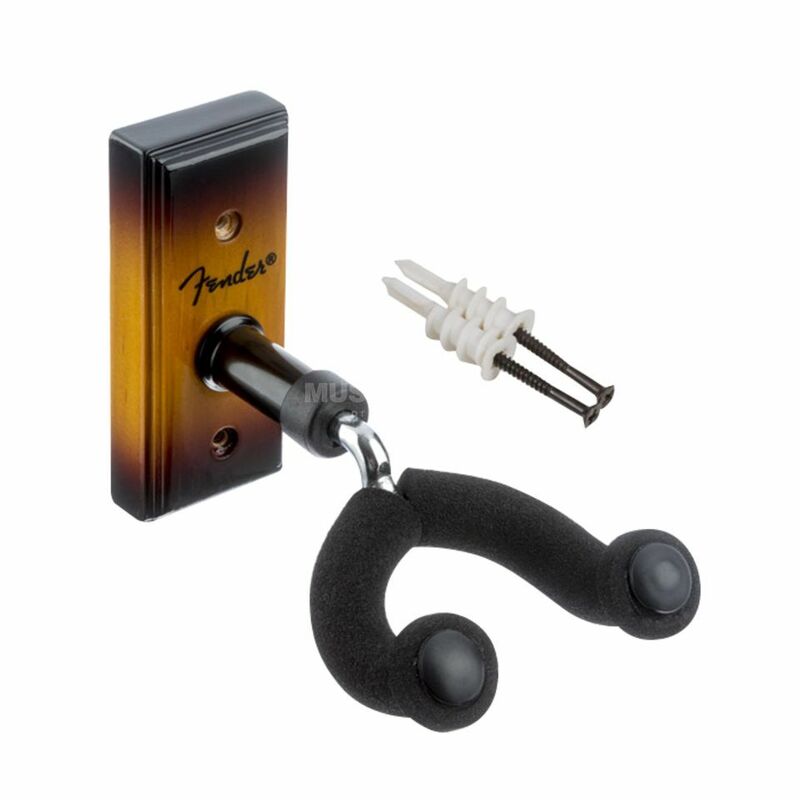 The Fender Guitar Wall Hanger Sunburst is a guitar wall hanger, featuring a solid wood block, a durable steel yolk, and includes mounting hardware, with a sunburst finish. Turn your guitars into showpieces and avoid cluttering your floorspace with Fender wall hangers. Now available in a unique sunburst finish, the Fender Wall Hanger is crafted from quality long-lasting materials.